The Chinese government said the tariffs would effectively serve as retaliation for restrictions President Trump announced last month. The Chinese Ministry of Finance said the new tariffs "caused serious damage to our interests." The Chinese government plans to immediately impose tariffs on 128 U.S. products, including pork and certain fruits, a direct response to President Donald Trump's recent moves to pursue numerous trade restrictions against Beijing. If U.S. goods become more expensive in China, Chinese buyers could opt to purchase products from Europe, South America or elsewhere, though White House officials have routinely discounted the likelihood of this. Beijing's move could force Trump to decide whether to follow through on expansive trade restrictions he had hoped would crack down on China even if Beijing is now threatening to harm U.S. companies that rely on Asian markets for buyers. A Twitter post from the "People's Daily," an English-language news organization controlled by the Chinese government, said Sunday that "China imposes tariffs on 128 items of imports from the U.S. including pork and fruit products starting Monday as a countermeasure in response to a previous U.S. move to slap tariffs on steel and aluminum imports: Ministry of Finance." The Chinese government said the tariffs would effectively serve as retaliation for restrictions Trump announced last month. In early March, Trump said he planned to apply steep tariffs on steel and aluminum imports. Since then, he has exempted numerous countries, but he has not waived the impact on China. And in late March, Trump took additional steps toward imposing tariffs on $60 billion in Chinese goods and limiting China's ability to invest in the U.S. technology industry. He has alleged that the U.S. government had been too complacent in allowing Chinese firms to steal U.S. intellectual property and abuse trade rules. He has accused China of trade practices that led to the closure of 60,000 factories and the loss of 6 million jobs. His new, unilateral trade steps, though, shocked many U.S. businesses and foreign leaders, particularly because Trump had taken a more cautious approach in his first year, seeming to dial back some of the populist trade rhetoric he made during the 2016 campaign. Beijing promised to respond quickly, however. 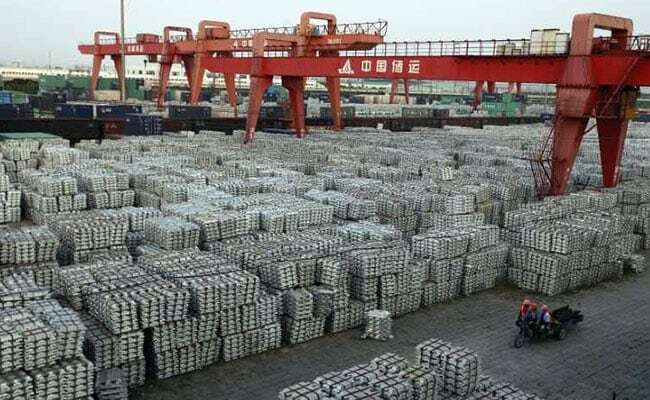 In a statement from the Chinese Ministry of Finance, the government said the new tariffs "caused serious damage to our interests." Trump has for years accused the Chinese government of unfair trade practices, which he says put U.S. companies at a disadvantage. Many other foreign leaders have agreed that China unfairly subsidizes its businesses and has at times devalued its currency to boost exports, but most have favored a multi-national approach to apply pressure on Beijing. Trump has expressed disgust for multilateral trade decisions and has favored more adversarial action. For his first year in office, a number of key advisers - including National Economic Council Director Gary Cohn and Secretary of State Rex Tillerson - had tried to persuade Trump to be careful before following through on some of his trade threats, but both men have recently departed, and now Trump is surrounded by advisers who support some of these protectionist decisions. A number of U.S. business groups have warned that these tariffs could backfire because they could make it harder for American companies to sell goods overseas if other nations retaliate, but Trump and Commerce Secretary Wilbur Ross have expressed skepticism that the impact of these moves would be substantial. China exported $505 billion in goods to the U.S., and U.S. companies exported $135 billion in goods to China in 2017. Trump says the difference between these two numbers is too large and should be eliminated or at least greatly diminished. His precise approach with Beijing is hard to pinpoint because he has occasionally praised Chinese leader Xi Jinping, while also suggesting that Xi's administration will not offer concessions that he believes are necessary. A number of U.S. agriculture firms have warned they could be caught in the middle of a trade war, particularly if Trump follows through on threats against China and Mexico. The National Pork Producers Council said in late March that its members exported $1.1 billion in pork to China last year, making it the third-largest market. Trump's trade approach has been inconsistent, making it difficult for allies and foreign leaders to know what he plans to do. Trump has said his trade threats are meant as a way of negotiating. On Sunday - in Twitter posts - he threatened to withdraw from the North American Free Trade Agreement if Mexico doesn't do more to stop immigrants from entering the United States. Those comments caught many by surprise because U.S. Trade Representative Robert Lighthizer has spent months trying to renegotiate NAFTA with Canada and Mexico, and they are hoping to make progress later this year. China, though, has always been the biggest trade target for Trump. It also appears to be the first country to retaliate to his trade threats, putting pressure on leaders in Washington and Beijing to anticipate each other's next moves quickly. The stock market rose sharply during Trump's first year in office, but it has slid back more than 10 percent since late January amid concerns that Trump's trade threats could roil world markets. His senior advisers, though, say Trump's trade approach will help U.S. workers by creating more jobs and boosting U.S. exports abroad.